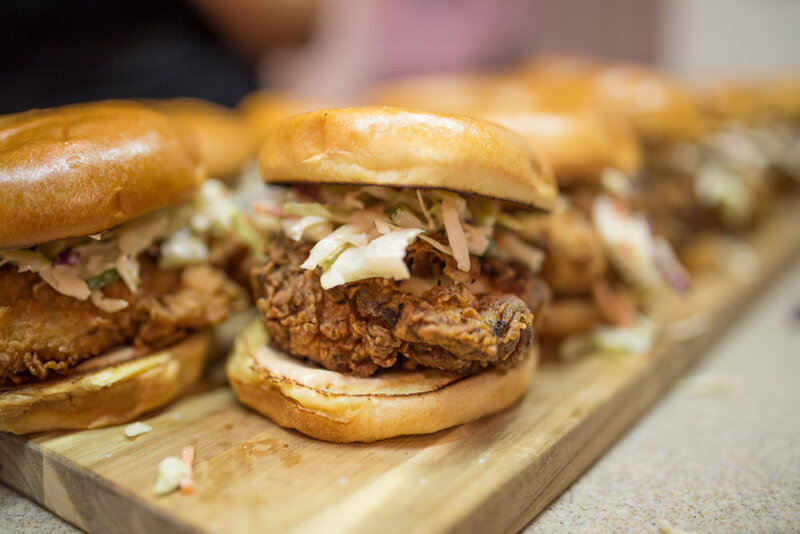 Great food brings people together, and we want you to be at the table when it happens. 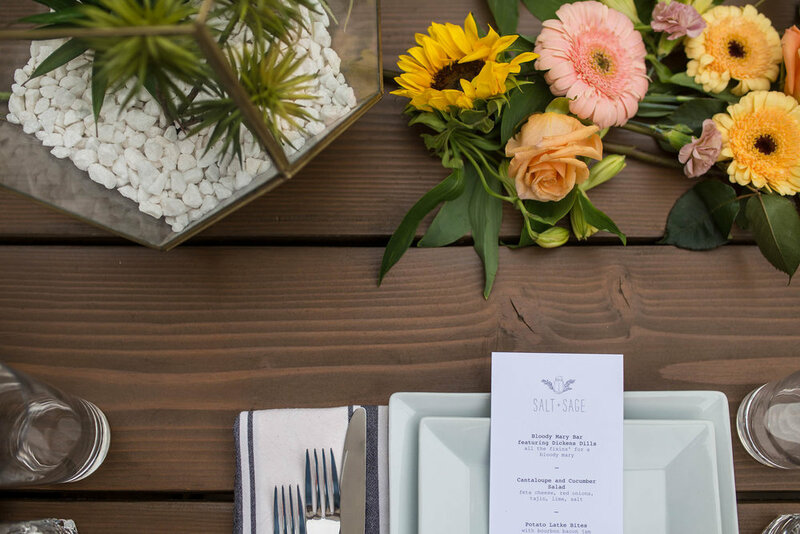 Salt + Sage is a boutique personal chef and catering company serving the Los Angeles area. We specialize in fresh, seasonal ingredients filled with distinctive flavors that will surprise your palate and stir your senses. We'll work with you to develop customized menus for formal or casual dinner parties, brunches, cocktail parties, cooking classes, children's parties and more. We believe that the best moments are spent around a table - we'll make sure you have a seat. Give us a call, we'd love to talk with you. 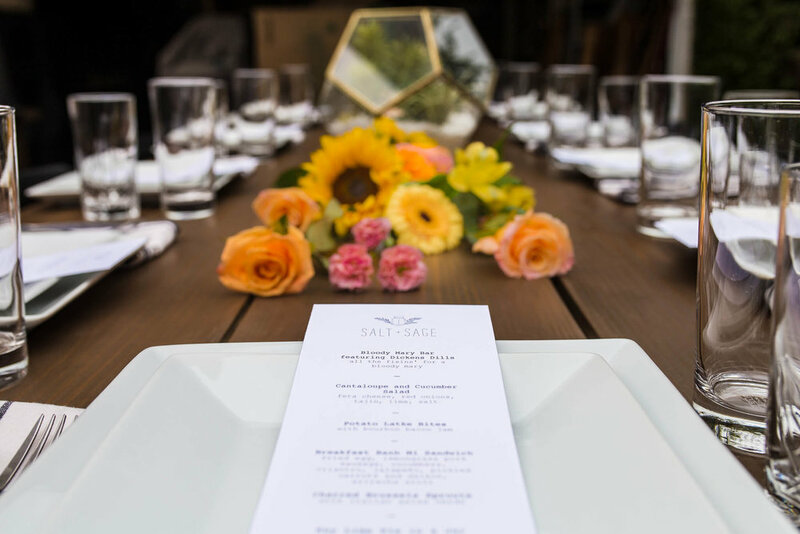 Salt + Sage provided a classy, at home dining experience, and a fun alternative way to entertain clients without the hustle and bustle of being out at a loud restaurant. The intimate, multi-course meal, dessert and wine pairing were all incredible. We loved working with Amy! She was very easy to work with and had great menu ideas for our wedding reception. Her execution was flawless and her creations were extremely tasty - to the delight of all our guests. Also, her entire team was very professional and flowed seamlessly throughout our event. Personally, I was amazed at how well Amy's team worked within a very limited space which is a testament to her organizational skills. We look forward to working with her on our next event and would definitely recommend her for your next event. 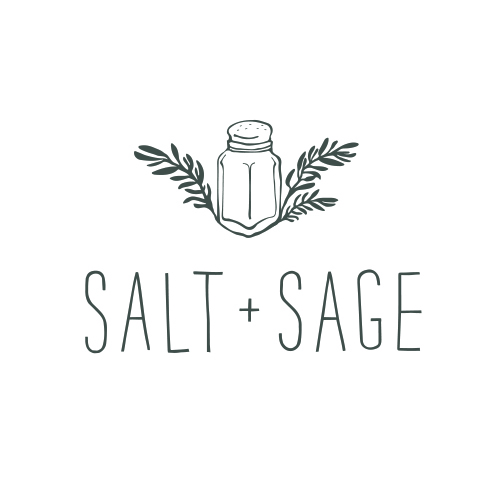 I heard about Salt+Sage from a friend and I started following their Instagram page. I wanted to throw a special dinner party for my close friends and I thought that hiring a personal chef would be a great surprise and a unique experience. Amy was so amazing to work with. 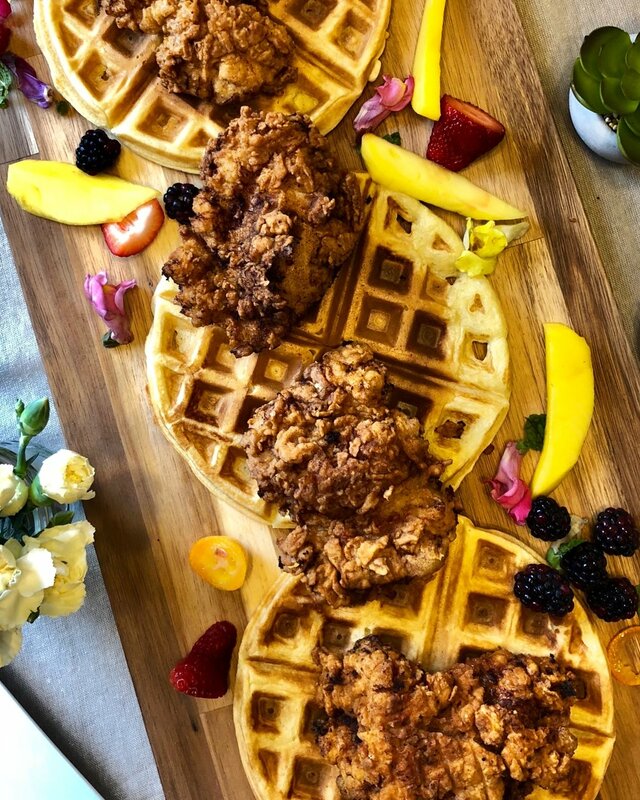 She took time getting a feeling for the foods that I liked as well as what my guests would enjoy, keeping allergies and dietary restrictions in mind. Based on our conversations, Amy came up with the most unique menu that was so creative and savory I was blown away! The day of the party Amy showed up on-time and was very professional and sweet, I felt like I had known her from our phone conversations. It was amazing having people over, and for the first time, I didn't have to do anything! From the first course to hands down the best dessert I have ever had...Salt+Sage created one of the most memorable nights I have had with my friends. Thank you so much Salt + Sage!! I cannot thank you enough for making our dinner party such a success. It was honestly one of my best birthdays ever!! Everyone has been raving about your food to me all day. I cannot stop thinking about the scallops, soup, salad, short ribs, yellowtail, and chocolate pudding. You created a memorable dining experience for Jeff, myself and all of our friends that we will never forget. It was amazing working with Amy and the Salt+Sage crew. The food for our Jazz Jam Brunch was so creative and on point with our theme. Everyone loved it! 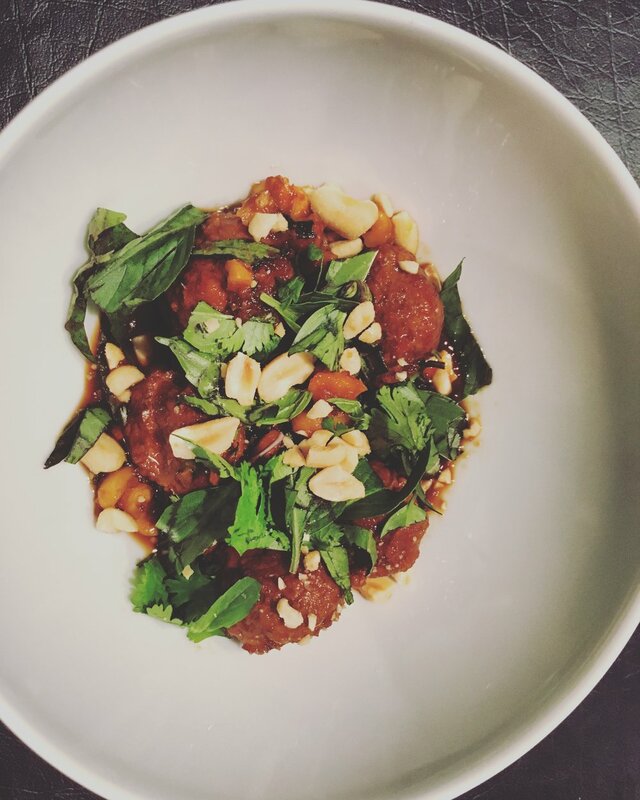 Interested in planning a meal with us? Have any questions? You can contact us using the form below. Or are you here for the Black Market? Write to us with “I want in” to be added to the mailing list. You’ll hear from us shortly.